Celebrate the March holiday for less by cutting down on the cost of food and decorations. 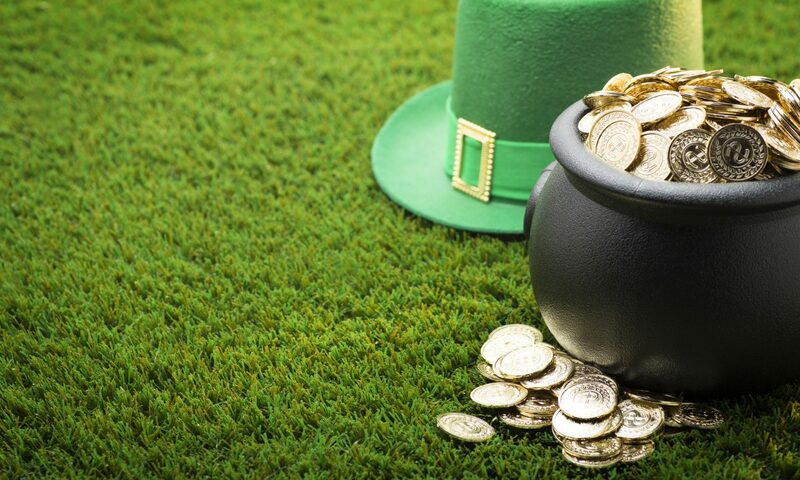 Americans intend to spend $5.9 billion to celebrate St. Patrick’s Day, according to the National Retail Federation's annual survey. Food, beverages, apparel, decorations and candy are the top items celebrants plan to purchase. And there are plenty of products to choose from. If you're planning to buy something green to avoid getting pinched this March 17, we have some tips that will save you green and spare your wallet from feeling a pinch, too. Many with Irish roots — and even some without — will search for a meal of corned beef and cabbage to celebrate the Irish-inspired holiday. But if you’d rather eat something a little less traditional, you’ll find plenty of holiday deals and coupons for food. For instance, California Tortilla is giving away free chips and queso with a purchase if you ask for a “pot o’ gold” on March 16. Bruegger’s Bagels is offering $2 off a Big Bagel Bundle on March 16 and 17 at participating locations. Go online to claim the deal. To keep on top of all deals, sign up for the mailing lists of your favorite restaurants or follow them on social media. Apps can save you money, too. Flipp is a free download that provides circulars from over 800 local retailers, including grocery stores. Enter your ZIP code to find deals near you. You can also search by a keyword like “green." Shopping at the last minute for party supplies can mean big savings, says Kerry Taylor, author of “397 Ways to Save Money.” That’s because retailers know there isn’t much demand for St. Patrick’s Day items after the holiday. Taylor recommends buying supplies in the afternoon of March 17 before your evening party. But if you’d rather shop early, seasonal sales are underway at some craft and party supply stores. Oriental Trading Company is offering up to 30% off on light-up shamrock necklaces, green sequin bow ties, leprechaun costume photo props and more. Craft store Michaels has marked down some decorations, including garland, string lights and signs. Retail sales extend to non-holiday items as well, says Eric Glyman, CEO of price-tracking app Paribus. So while you’re buying decorations and candy, you can use the festive markdowns as an opportunity to purchase other things you may need, such as apparel and spring cleaning items. Finally, since St. Patrick’s Day might not be a holiday you’ve built into your budget, try to stay mindful of your spending. People may be inclined to spend more because the holiday falls on a Saturday this year, says Nora Yousif, a financial advisor and vice president at RBC Wealth Management in the Boston area. “You want to be sure you really are budget-wise staying in the green rather than in the red this holiday,” Yousif says. So how do you do it? Categorize. A pricey pub crawl or dinner out would fall under the "wants" section of your spending. At NerdWallet, we recommend the 50/30/20 budget. According to this method, wants should account for no more than 30% of your monthly take-home income. Needs — like rent and groceries — account for 50%, while savings and debt repayment account for the remaining 20%. Then, prioritize. If you spend more than you intend to on St. Patrick’s Day, spend less on other entertainment-related expenses the rest of the month so you don’t exceed that 30%.